Providing information regarding pricing information, ratings, product descriptions, rebates, coupons, and commercial terms for the goods and services of others, providing reviews of retail establishments and consumer products, providing product warranties, discounts and price guarantees for consumer products, and providing decision tools to enable consumers to identify appropriate products and services. Providing an on-line computer database and search engines and aggregation engines for obtaining data on a global computer network in the fields of: providing information regarding pricing information, ratings, product descriptions, rebates, coupons, and commercial terms for the goods and services of others; providing reviews of retail establishments and consumer products; providing product warranties, discounts and price guarantees for consumer products; and providing decision tools to enable consumers to identify appropriate products and services. 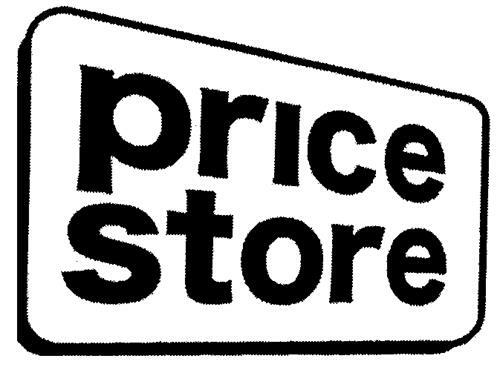 On Thursday, July 17, 2003, a canadian trademark registration was filed for the above pictured logo by BARGAIN NETWORK, INC. a corpor 326 Bollay Drive, Goleta, California, 93117, UNITED STATES . The Canadian IP office has given the trademark application number of 1184913. The current status of this trademark filing is Interruption of proceeding. The correspondent listed for is OGILVY RENAULT LLP/S.E.N.C.R.L of 1 Place Ville Marie, Suite 2500, Montreal, QUEBEC, CANADA H3B1R1 The trademark is filed in the description of Providing information regarding pricing information, ratings, product descriptions, rebates, coupons, and commercial terms for the goods and services of others, providing reviews of retail establishments and consumer products, providing product warranties, discounts and price guarantees for consumer products, and providing decision tools to enable consumers to identify appropriate products and services. , Providing an on-line computer database and search engines and aggregation engines for obtaining data on a global computer network in the fields of: providing information regarding pricing information, ratings, product descriptions, rebates, coupons, and commercial terms for the goods and services of others; providing reviews of retail establishments and consumer products; providing product warranties, discounts and price guarantees for consumer products; and providing decision tools to enable consumers to identify appropriate products and services. .
Mark Disclaimer: The right to the exclusive use of the words PRICE and STORE is disclaimed apart from the trade-mark. (1) - Providing information regarding pricing information, ratings, product descriptions, rebates, coupons, and commercial terms for the goods and services of others, providing reviews of retail establishments and consumer products, providing product warranties, discounts and price guarantees for consumer products, and providing decision tools to enable consumers to identify appropriate products and services. (2) - Providing an on-line computer database and search engines and aggregation engines for obtaining data on a global computer network in the fields of: providing information regarding pricing information, ratings, product descriptions, rebates, coupons, and commercial terms for the goods and services of others; providing reviews of retail establishments and consumer products; providing product warranties, discounts and price guarantees for consumer products; and providing decision tools to enable consumers to identify appropriate products and services.